Daily Drawing & Oil Painting: Make Up’s Are Available in All Classes. Monthly Recurring Payments $115.– choose one day a week 2 ½ hours a week for 4 weeks. 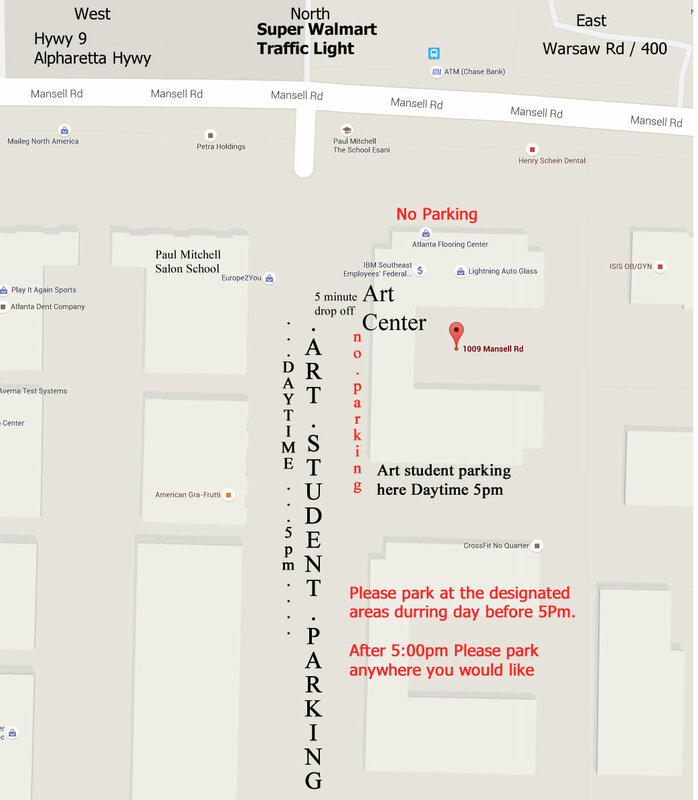 (make up classes are available on any of the “Daily Drawing & Oil Painting Classes Day or Night). choose one day a week 2 ½ hours a week for 4 weeks. We Specialize In A Step For Step How To Program. Progressive Program helps all artist to reach higher levels in art. Gain skills and knowledge to succeed at Your Pace, One Step At A time. This class is the core reason Chris’ classes have been in such high demand for nearly 30 years. Designed for all levels but the Beginners Are My Favorite! The program is set up with a series of exercises each one explaining What, Where, Why and How an artist is to use the specific “Art Principle” we call them “Art Tools Not Rules”. There is a mixture of drawing and painting artist levels in each class. Allowing for the beginning drawing students to hear the advanced painting exercises and the advanced students to hear the beginning exercises reminding each student what they have learned or will learn. 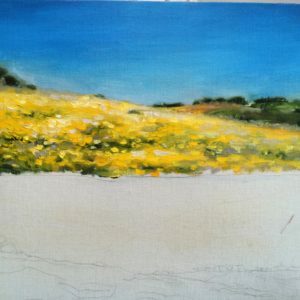 Paint Your Way: If you have painted before and would like to Paint Under Chris’ Mentoring join this community of artists and use your images ( vacation, family, portraits, commissions, etc. ) Chris shares color theories, mediums, composition, and thoughts to take your art to a higher level. Oil paint through Sargent’s life, one of the greatest 19c artists. Chris’ lifelong experience studying the old masters along with his classical drawing education come into play as you paint along with Chris. 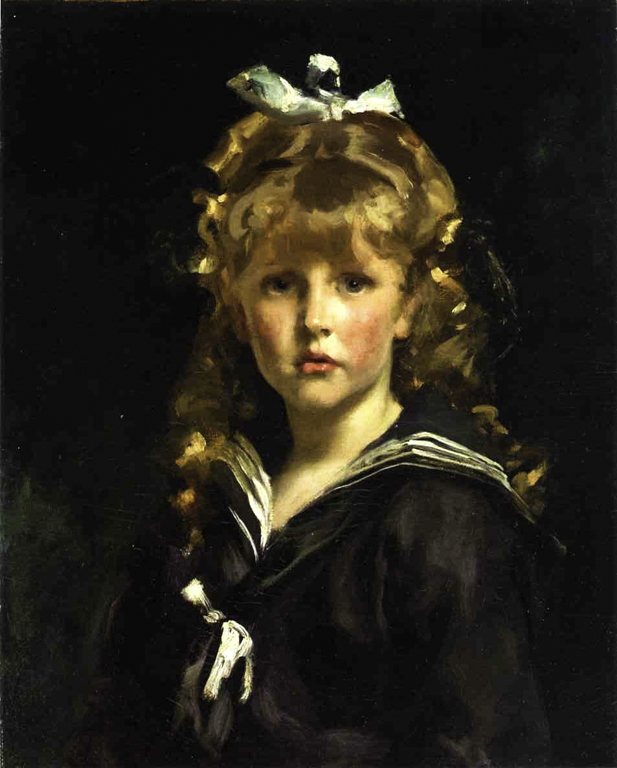 Discover What, Why, and How, Sargent told his story using the elements of art: composition, brush strokes, contrast, and color. 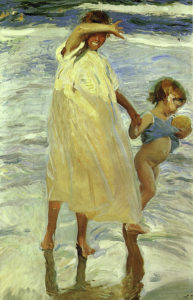 We will explore a contemporary of Sargents this session by Sorolla. Most of the paintings take two to four weeks to complete on a canvas between 9″ x 12″ and 11″ x 14″. Without reservation, this is an amazing class and not to be missed where we all learn something new things each day. This Session We Will Paint This Portrait by one of Sargent’s contemporaries Sorolla. Understand his color and brush strokes as well as his firm understanding of figure ground relationships. 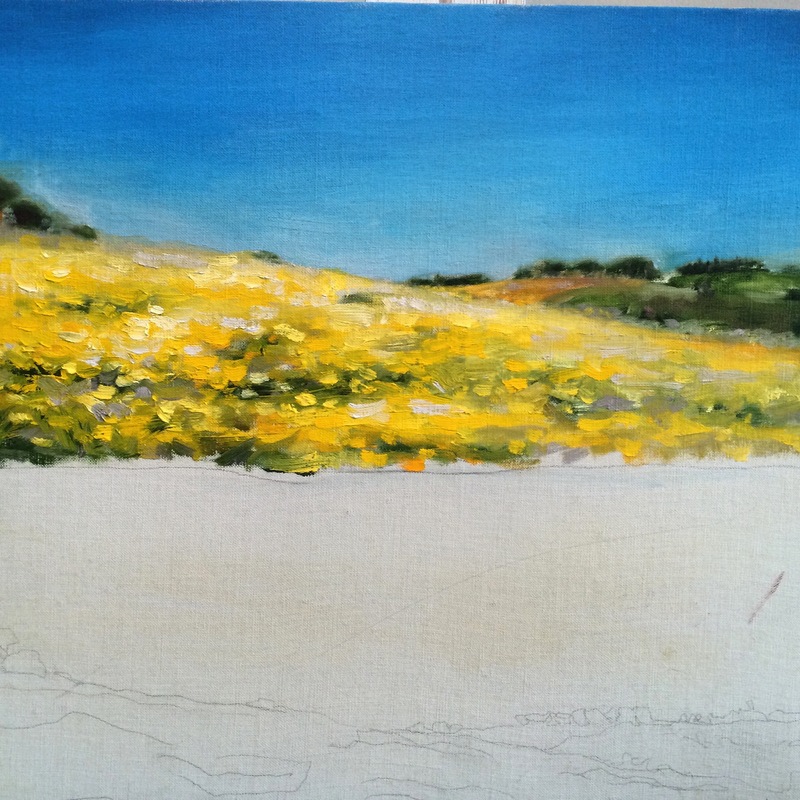 Beginning Painting – Go Through Each Color Exercise With Chris! Starting The First week of each month. We are excited to offer this amazing class. Finally go through each painting exercise with Chris- one brush stroke at a time. Understand the reason for each exercise. 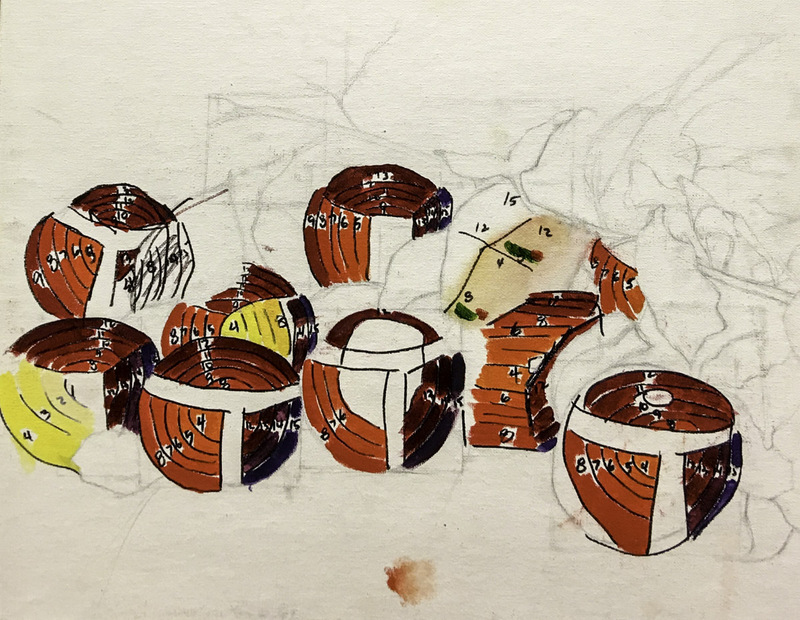 See how the drawing program intertwines with the painting program. chris will explain What, Why, How, When and Where in a painting. Chris’ focus is on simply explaining the How to Do Whatever you need to know in each particular exercise. this session we will start with the Red Color theories by painting the Apples. Thousands of artist have gone through this program but in this class nothing will be missed, skipped or overlooked. One stroke at a time with Chris painting with you. It should take eight weeks to finish the apples. The Red Color theory is used by Chris in almost every painting. This is much more than learning how to paint fruit. We Specialize In A Step For Step How To Program! 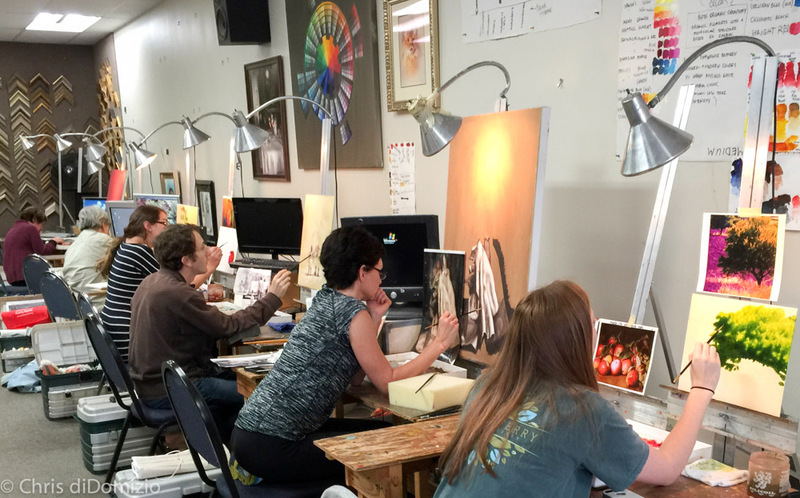 The kid’s program is an extension of the adult drawing and painting program. The same concepts but with the emphasis on “fun”. The children’s program has been an enormous success with over 100 kids in two different locations. ( metro academic studies and in our studio). The success form the children’s program is due to the art teachers all going through the adult program making it easy to teach the same concepts as the adults learn. Draw in Graphite and charcoal, watercolor, pastel and acrylic paint. pay as you come.